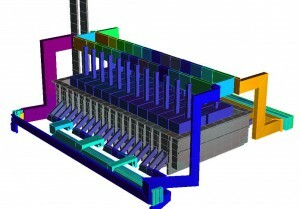 ESTER (Electrolytic SmelTER) is a special-purpose adaptation of the general- purpose fluid flow and heat transfer code PHOENICS, developed specifically for the simulation of multi-anode electrolytic smelters of the Hall-cell type. It uses a variant of the standard PHOENICS pre- and post-processors for data input and graphical display. the electric current distribution, and the induced currents. These, together with given magnetic fields, are used to compute the Lorentz forces which drive the flow. 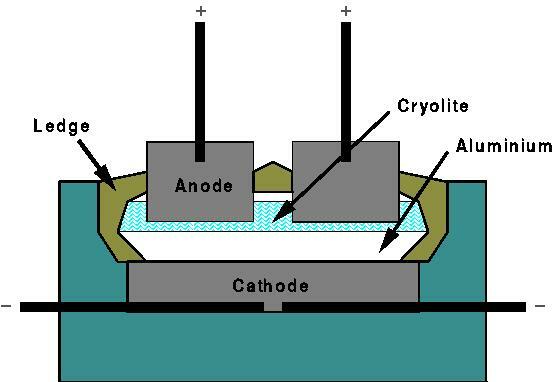 interface to programs which can update the anode potentials and the cathode currents.